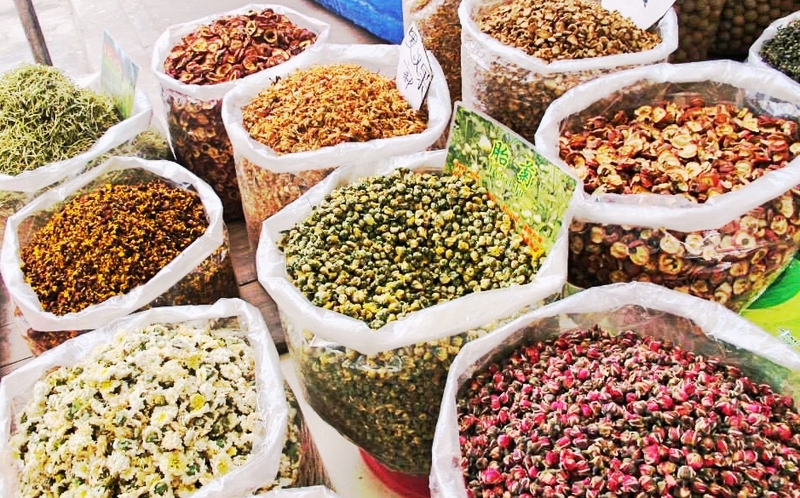 I have this belief that if you really want to get to know the vibe of a city, you need to visit its markets. You see, when you step into a public market, you get to experience the core of the city’s every day life. The shouts of the sellers, the smell of their wares, the explosion of colors, and the strange produce you sometimes encounter – all these give character to a place that you would not often find in tourist destinations where the experience has already been somewhat manipulated so you only see glossy side of things. 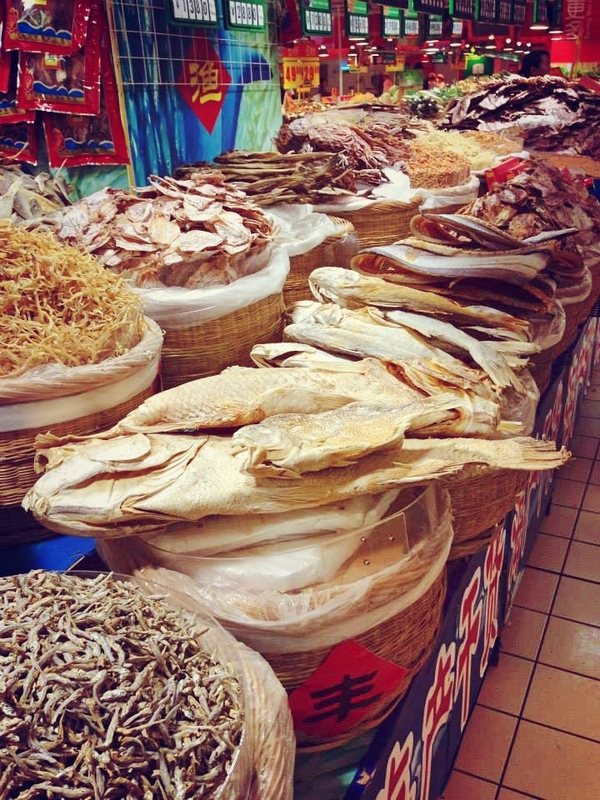 In Guangzhou, markets are everywhere! If you’re in the city, I suggest taking at least half a day to just walk around and explore the area you’re in because for sure, at one point or another, you will encounter a public market tucked in a side street or sometimes, just literally in the sidewalk. This is one of the reasons I enjoy walking around the city. You’ll never know which turn will lead you to an interesting surprise! The photos above are of a market two bus stops away from where I live. It sells everything from fruits, vegetables, meat and fish, tea, furniture, and even clothes! It’s literally a smorgasbord of produce! 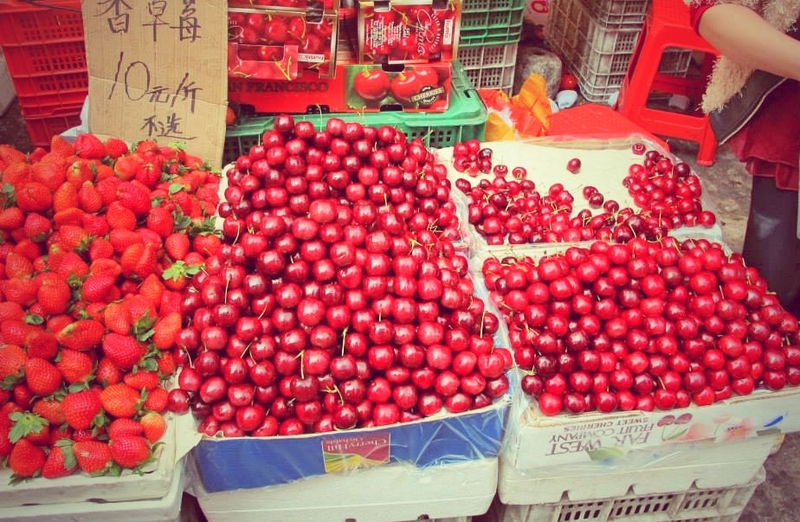 At that time, cherries and strawberries were in season and you can find people selling these everywhere! For me, that was a delightful surprise because in the Philippines, these fruits are often uncommon and expensive! 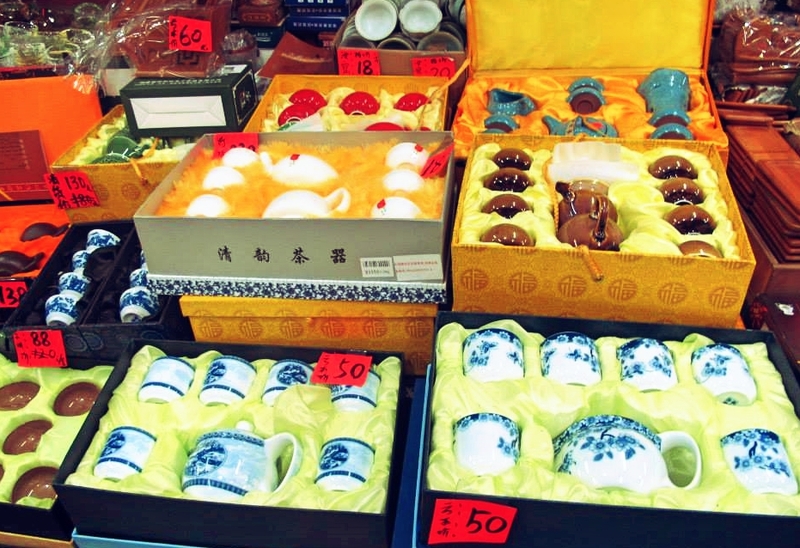 You will also see a lot of local goods in the market. 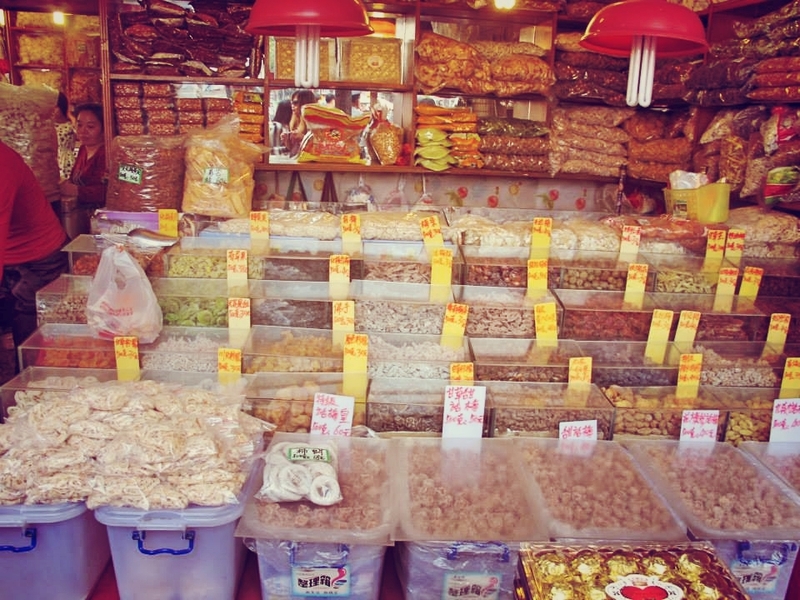 Here in Guangzhou (or maybe even in China), people are fond of dried and preserved fruits. Expect to see several kinds of dried and sweetened dates and plums (kiamoy), kiwi, apricots, sweet potatoes, and a whole lot more! If they can dry it, then you will find it! 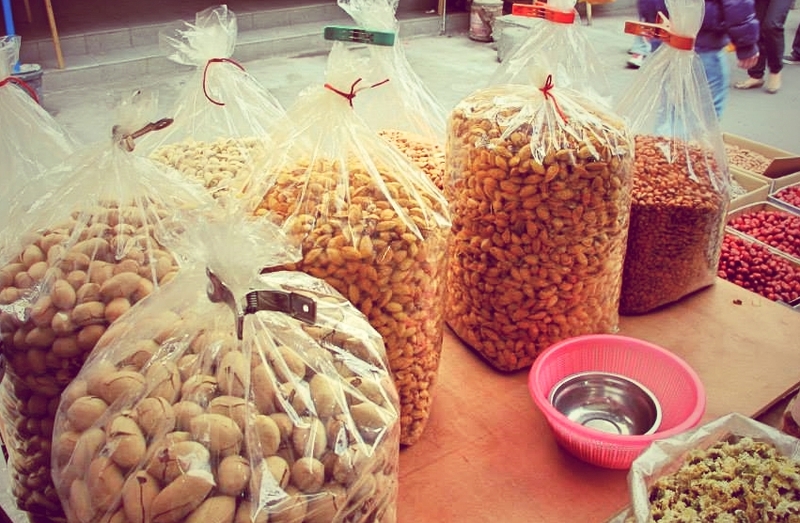 There’s also an abundance of nuts. My favorite is the pistachio, but you will also find almonds, walnuts, and macadamia nuts. The prices are also very reasonable. Don’t forget to be charming and try to bargain with the sellers. They often give you extra portions if they like you. Let’s not forget the tea sets! 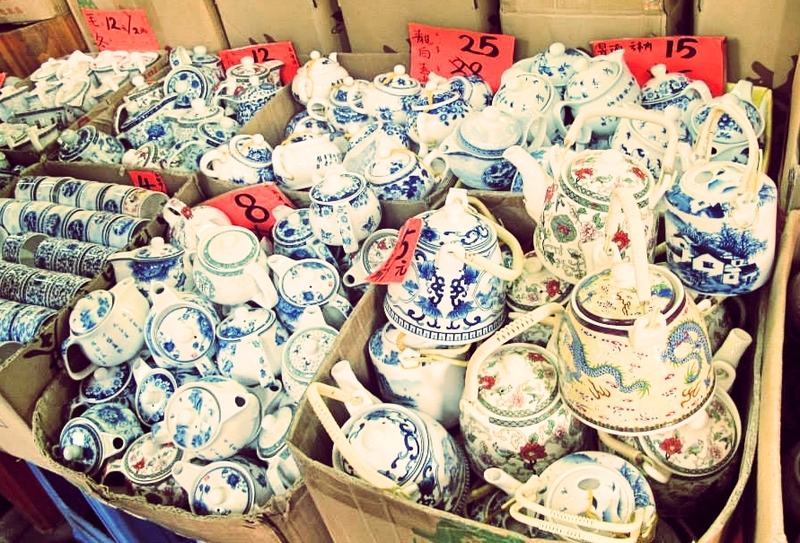 In a country where tea can replace water, you will find tea sets being sold everywhere! You will also find a variety of designs. Some are so cute, I was convinced to buy a set for myself! Oh, and wait ’til you see the local craftsmen selling their works in the sidewalk. 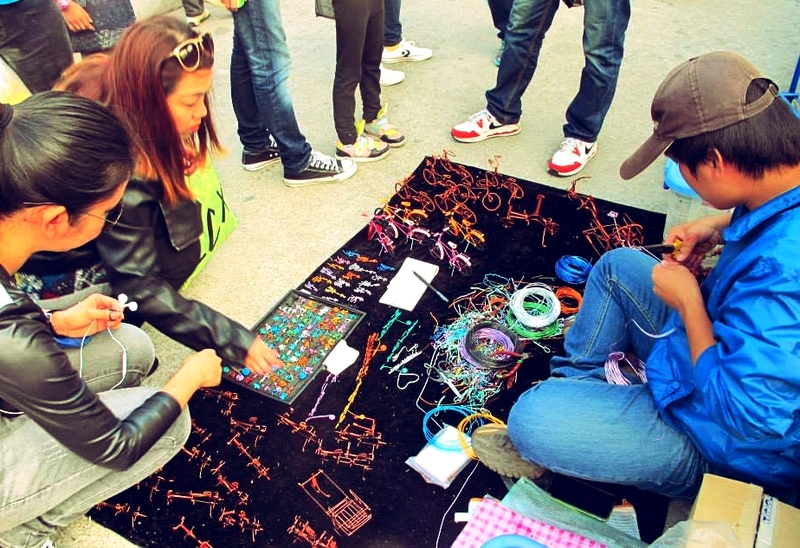 The guy above makes accessories and knickknacks from multicolored wires. You can just stay there and watch him create. It’s fascinating! Don’t you just love markets? I really, really do! Wherever I go, it’s one of the things that I am definitely interested in exploring. holy nuts! I want to try everything!!! The markets are a lot cleaner there and more organized. They also have a lot of variety. 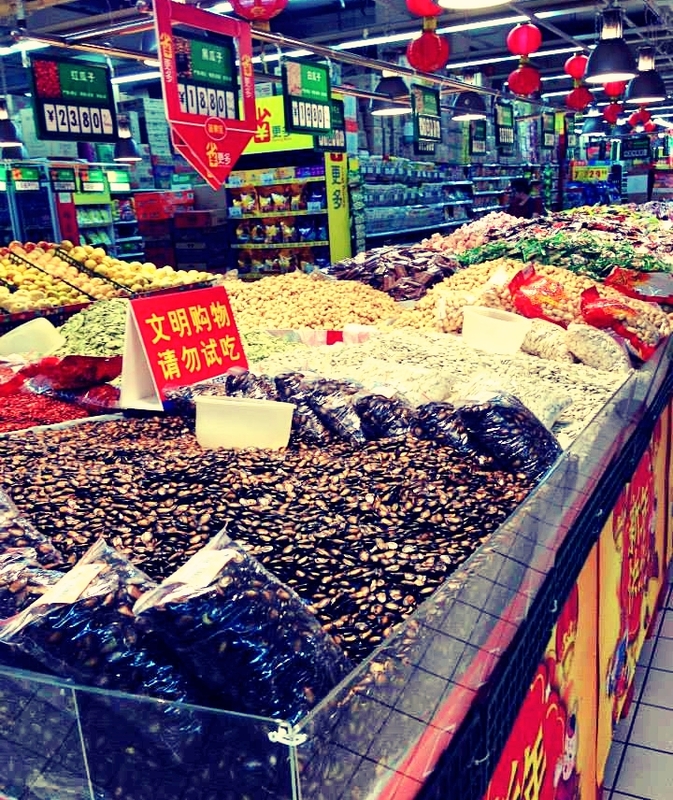 i miss china….. i also love going to and exploring the markets, department stores, carrefour (i forgot the spelling.. i believe it is known as “jah-le-puu” in xiamen), trust mart and walmart….. and i miss the nuts…..thanks for the sights!